Copperstate Farms, Arizona’s largest cannabis grow facility, dramatically improves security, boosts internet speed and bandwidth with IT Managed Services Partner. 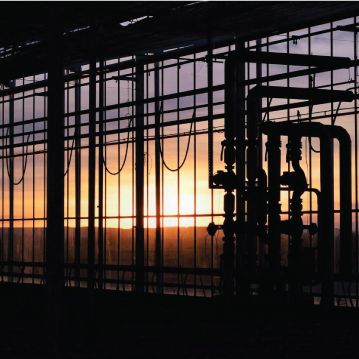 As a 40-acre grow operation in rural Arizona, Copperstate Farms needed to modernize its IT infrastructure to ensure maximum security and to optimize data speed and bandwidth for zero downtime. Still in startup mode, Copperstate’s human and financial resources were stretched thin, and it was about to undergo a stringent state security inspection, a requirement for operating the facility. Copperstate’s future relied on finding a nimble, strategic technology partner that could jump right in, work within tight budget and time constraints, and help it clear this critical hurdle. Copperstate turned to the IT Managed Services experts at Sunstate Technology Group for a soup-to-nuts technology infrastructure plan. After diligently assessing Copperstate’s facility and gaining an understanding of its unique needs – which included plans for rapid growth – Sunstate implemented a comprehensive technology build-out encompassing state-of-the-art network security, access control, Hardware-as-a-Service, disaster recovery, automatic data backup, a VoIP phone system, a cell signal booster and strong Wi-Fi to service all 40 acres of land. Sunstate also upgraded Copperstate’s outdated copper wiring to fiber optic cabling, significantly boosting data speeds and bandwidth. 24/7 monitoring of Copperstate’s systems ensures zero downtime and provides maximum protection from security threats, both onsite and online. Sunstate personnel went the extra mile to demonstrate to inspectors that all security functions were working and up to code at Copperstate. Thanks to Sunstate’s dedication, Copperstate passed inspection with flying colors. Operations have flourished, and what was once a startup with ten employees has expanded to a team of over 200, providing significant job opportunities and economic growth for the community. For us, Sunstate is a highly valued strategic partner for our expanding organization, Sunstate’s recommendations have consistently been spot-on, and their team is extremely agile and responsive – sometimes helping us to implement new solutions within a matter of hours or days.